“It just doesn’t seem like he really likes his dog, “ I said as the trainer moved rigidly and robotically in sync with the dog at the end of his leash. They were practicing a precise heel, and as they moved through the exercises, the trainer rarely celebrated his dog’s success. Instead, he focused most of his attention on correcting the dog’s mistakes. Meanwhile, I was frolicking in the ocean with my dog, laughing loudly as he bounded through the waves. I threw the ball, we played, and as we did, we tuned out the world around us. Granted, I have been accused of liking my dogs too much. But that’s beside the point. Anyways, every time I saw this particular trainer, he was practicing rigid obedience. He was stoic as he moved, posture stiff and erect, tone steady and somewhat ominous. The dog moved next to him like a robot. He wasn’t happy. He wasn’t sad. He wasn’t anything really. A pair of unfeeling, unemotional robots moving in sequence in front of me. There were rewards. But they were lackluster. And the two never played….I mean, REALLY played. They just moved together. Day in and day out. Heeling, sitting, downing. Rewards were applied quietly and rigidly. And corrections were doled out in the same monotonous manner. Outside of the routine, he didn’t engage much with the dog. He always seemed stiff. Void of feeling or emotion. Never letting his guard down. In fact, I came to find out that, like many competitors in their sport, the trainer opted not to spend time with his dog outside of prepping for trial. Their relationship consisted of nothing but their sport and their training. And that was all the dog knew. Occasionally, I saw the dog swing away from his handler in avoidance, the holes in their relationship showing through their robotic routine. A glimpse of emotion clawing its way to the surface in an otherwise emotionless exercise. I watched them out of the corner of my eye as I loaded my dog in his transport kennel, shifting my attention to my other dog who had been waiting so impatiently for his turn to play. As I approached, he began to wag his tail, the kennel rocking wildly as he did. He spun frantically, brimming with anticipation for what would come next. I opened the crate door and he waited, pulsing with energy, struggling in that moment to hold the down stay that was commanded of him. With my word, he launched out of the crate, his feet hitting the ground with force, his gaze fixed on me as he nearly crawled out of his own skin with excitement. We weaved obedience commands in and out of play and games. He was so engaged in what we were doing, he could have cared less about the rest of the world around him. I was his world, our game was his world. This was a stark contrast to his rigid counterpart who moved so methodically up and down the beach. My dog was excited, perhaps too excited at times, and instead of swinging away in avoidance, he consistently punched his toy into me, begging me to play and getting a bit pushy with his demands. I celebrated him. Snapped photos of his amazing self as I’m so smitten with his face, I can’t help but fill my phone with photos of it. I cheered him on as he swam out to retrieve the toy, and he returned to me with speed, brimming with pride as I celebrated his awesomeness. The contrast between my dog and the other trainer’s dog was startling. When did dog sports become so ego driven? Alright, here’s the rub. As I watch dogs and their handlers day in and day out, I often find myself wondering, when did dog sports become about handler’s egos? I see it all too often. Handler after handler, not seeming to actually enjoy their dog, walks robotically onto the training field to practice their rigid routine. Handler after handler treating their dog like a means to a trophy. Handler after handler, caring more about the next title than the dog that will get them there. Handler after handler participating in dog sports for their own ego and need for recognition. As such, I see dogs forced to sit in crates or runs all day, never allowed to really live life and just be a dog, but instead living only to compete. I see dogs who are coerced into working, who don’t pulse with energy for the work but only know it as a way of life. A job. Their crate becoming a metaphorical cubicle, and the training field becoming the office that they go to not by choice, but out of necessity. “We need to shift from control centric to an empowerment centric culture,” my colleagues regularly coach as they visit organizations to teach about leadership development. It’s no secret that I work with former Navy SEALs teaching leadership and behavior change to organizations and individuals. As they teach people how to empower their workers, my mind often drifts to the dogs that I watch on the training field day in and day out. We regularly coach people about the suffocating of innovation that occurs in a control centric environment. In such settings, power resides with a manager, and the manager does everything he can to protect that power. As a result, mistakes are frowned upon and punished, fingers are pointed, and blame is placed. And as a result, innovation is suppressed. Sound like anyone you know on the training field? Alternatively, my colleagues teach that in an empowerment centric organization, innovation thrives because power is multiplicative, being shared by those that have the most influence – the workers. Mistakes are celebrated as learning opportunities, and employees are confident and continually encouraged. I often think about dogs competing in high level sports when I hear this portion of the talk. I think back to handlers who seek to control the dog at the end of their leash. I think of the handlers who think that their dog’s mistake is a direct threat to their authority, and the training process becomes a power struggle. And then, in contrast, I think about those dogs whose owners seek to empower them. Those handlers who realize that their success or failure in trial depends wholeheartedly on the dog at the end of their leash. Those handlers who realize that the dog controls everything. And those who seek to empower the dog to make the right choices. A stark contrast in ideologies that so very well illustrates the power struggles that plague high level competitive dog sports, as well as so many other arenas of our society and culture. Now I’ll warn you that I swing FAR in the direction of empowerment. Perhaps a bit too far. I have no problem admitting it. Like I said before, perhaps I like my dogs a bit too much. 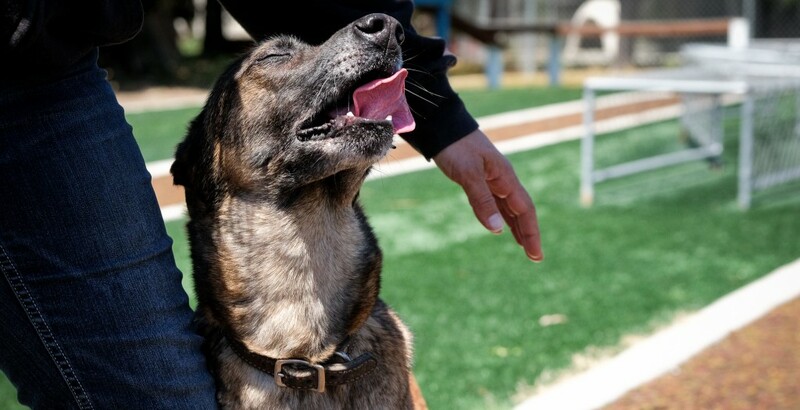 These control-centric relationships between dog and handler have become an epidemic in dog sports, and more specifically in protection sports. When the dog’s success has a direct effect on his handler’s ego, and training becomes a struggle for power and control, it’s time to reevaluate. This is a sad shift in the sport that results in the destruction of the relationships trainers work so hard to build. I hate to break it to you but…. At the end of the day, your dog holds all of the power. In trial, your leashes and collars will come off. In trial, when your dog is 30 feet from you, you can’t control anything. In trial, your dog has to make decisions in the moment. Your dog is the one that has the power to dictate your success. Yes, you must have influence over your dog. And yes, your dog must respect your wishes. I’m not getting all rainbows and butterflies on you. But I am saying that if you think you are in control, you’ve got a big surprise coming. Relationships are important. And without a solid relationship, I guarantee you’ll struggle through your entire competitive career. In fact, I’ve watched control centric, ego driven competitors regularly struggle on the trial field, attempting each leg of their respective sport over and over again as their dog makes the wrong choices. I’ve watched them become flustered and angry, and I’ve seen them take it out on their dogs. But who is really to blame? To be clear, dog training shouldn’t be a way to stroke one’s ego. Controlling the dog at the end of your leash shouldn’t be your goal. In fact, having a dog is a wonderful gift. It shouldn’t be taken for granted as simply a means to an end, as a way to make a name for yourself, a way to feed your ego, or a way for you to get attention or recognition. You don’t have to swing so far into empowerment centric dog training as I do. In fact, I wouldn’t recommend it. But you shouldn’t be in the sport if you don’t love your dog and enjoy spending time with them. Step onto the field for the right reasons, and have respect for the dog at the end of your leash. Only through the foundations of a relationship built upon trust and respect will your training truly thrive. So be willing to relinquish some control. After all, your dog is the one calling the shots when the collars come off. If you want to learn more about the leadership development and behavior change work we are doing to empower organizations and individuals, and to see how we us K9s to teach lessons in corporate training, check out Sealed Mindset Leaders on Facebook or visit their website. 17 replies to "When the Collars Come Off: Dog Sports, Egos and the Struggle for Power"
This is an Outstanding article!!!! I will be investing some time in Sealed Mindset and the Collared Scholar. Best regards!! Very well written. A good reminder for us to all look at our relationship with our dogs. We should enrich and compliment each other’s life; it should not just be a one way street where the dog is made to live solely for our ego gratification. We have been discussing elsewhere whether or not Obedience Trialling is ‘boring’. You explain so well why so many of us HAVE found Ob, boring. In the trial ring it is “Don’t talk to your dog. Don’t touch your dog. Don’t look at your dog and all “commands” must be single English words — except *between* exercises. Happily with “positive” dog training methods gaining favour, and with the challenge from RallyO — were you can talk to, look at and reward your dog with a pat or scritch — Obedience is lightening up. I have only just come across Collared Scholar, but love what I have found. I am not in dog sports (yet), but am a pet dog trainer using force-free methods, so I only really know positive methods and providing dogs with respect and choice. However, I am also a researcher and so I can’t help but question what I know and do and wonder if it really is the best way. Sometimes I find it hard to argue against corrections/coercion when it seems some of the ‘best’ dogs and trainers use them to get where they are. I find it extremely valuable to read the thoughts of others like yourself who are working in these areas and levels and are able to still advocate listening to, playing with and respecting the dog. I would love to get into the ‘heavier’ dog sports with my two so I can continue learning skills and growing with them, but not if the only way is via harsh punishments as they are first and foremost family members whom I care for and protect. Thanks for documenting another take on performance in dog sports. Yes, I am slowly finding all of you! I haven’t heard of Tami McLeod though so I will definitely check her out. I have Fenzi on my to-do list for when I get some spare time and money as I have heard good things about them too. Susan Garrett is amazing in the training and agility space, and Nando Brown is a great force-free trainer who is getting into the working trial and protection sports, which is great. Hoping to find some amazing force-free/minimal-force sporting handlers in Australia soon too (home for me), so I have a chance of learning from someone in person. Online is great, but it’s never quite the same as in person. I loved the concept “empower”. Thanks for writing from Barcelona. One other issue is that sometimes dogs just don’t like what they are doing. You can’t force a dog to like competition and sometimes you also can’t persuade them that it’s fun. You have to listen to your dog and if they don’t like obedience (for example) then move on to something you can both have fun at. I don’t see the point if you are not both having fun. I too have watched top competitors & the ones that are a joy to watch are the ones that clearly like their dogs and their dogs like them. So if you find something you both like you have a better chance of being on the top rung – or if not then at least you will have fun & that’s what it’s all about for me. BTW I have taken Fenzi courses & I can highly recommend them as well as “One Happy Dog”. Awesome article and really hits to the heart of what I sometimes think when I see a handler not engaging with their dog. 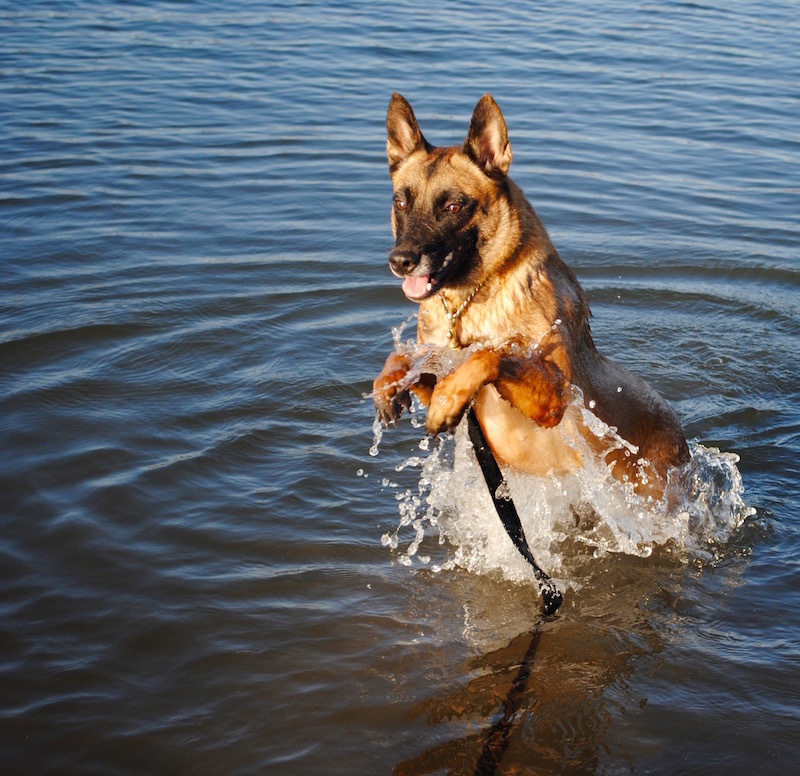 I train with my dogs because they enjoy it and it is a good bonding experience for us (not to mention it is great to have a well-trained German Shepherd to dispel the stereotypes). Excellent thanks. Being a woman in protection sports it’s frequently been a quandary of mine too when told that the best sport dogs are not family dogs. They live in a kennel and they don’t get that till after their careers are over. it just didn’t make that much sense to me and needless to say i couldn’t do it. My dogs are still high drive and if they aren’t yet top performers that’s more my issues as a trainer. anyway, we do have fun together. I hope others will respect your expertise and look at their methods. thanks again. Great article,you mentioned Susan Garret who I have been training her methods with my dogs..Her methods ate all about having fun wih your dog.She has had great sucesses on the Agility field and here n Australia her methods are widely taught to. Changed from Mondioring & IPO – where I’ve never found joy as I never believed in correction based training and back then didn’t have the knowledge or access to brilliant online training – to agility. I am another huge Susan Garrett fan? I learned tons from her and continue to expand my knowledge how to apply positive training with my dogs so work always equals play, fun & joy for my dogs and me. Great article and congrats to your happy dogs! Dogs training is our hobby and we (dogs and humans) must greatly enjoy it ? I am a Delta trained instructor with over twenty years in Obedience, Agility and Tracking. I have not competed in Obedience for many of those years as I prefer the fun approach to agility. This March 2016 I ticked Crufts Dog Show off my Bucket list, being in my sixties. I found that I did not enjoy the Show, Dancing to Music and particularly the Obedience. To my eye the body language of the mostly Border Collies, a breed I have owned and loved for many years, showed that they did not enjoy what they were doing. Relationship is everything and our dogs don’t ask to compete in the various sports. They probably rank running along a beach as highly as training! Please be aware of this. As my disinterested husband says, “There’s no money or glory in it so whats the big deal?” Most people I meet think I show my dogs when I say that I compete in agility. Millions of people and animals on the globe are struggling just to survive. Love your dogs, train them with Positive +, Enjoy! Nailed it again! Thank you for taking the time to share. The dogs thank you to.